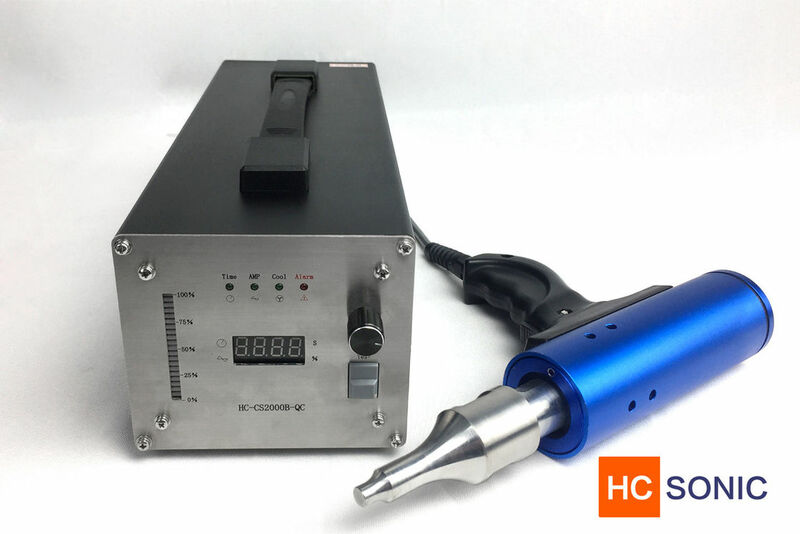 Ultrasonic hand welder offers a low cost solution for parts where automation is not viable or production volumes are low. Application areas include spot-welding, staking of components, access to difficult weld areas and second operations/re-work. The design and lightness of the manual pistol handgrip have been carefully delineated in order to assure a practical and comfortable handling when in use. Ultrasonic welding guns are used to weld thermoplastic, where areas of welding are hard to reach the parts are too bigger to weld. Widely used in the Automotive Industry, Electronic Industry, Medical Industry, Household Appliances, Woven Apparel, Office Supplies, Packaging Industry, and Toy Industry And So On. Such As Plastic Body Parts, Car Doors, Car Dashboard, Lights, Mirrors, Sun Visor, Interior Parts, Filters, Reflective Material, Reflective Spike, Bumper, Cable, Motorcycle Plastic Filter, Radiator , Tanks, Pallet Plates. Plastic Electronics: Prepaid Water Meters, Communications Equipment, Atheism Phone, Mobile Phone Accessories, Cell Phone Case, Battery Case, Charger, Maintenance Valve Regulated Lead-Acid Batteries, 3-Inch Floppy Disk, U Disk, SD Card, USB Connectors, Toys, Stationery: Folder, Album, Folding Boxes, PP Hollow Board, Pen Loops, Ink Cartridges, Toner Cartridges. Medical Daily: Watches, Kitchen Utensils, Oral Liquid Bottle, Drip Caps, Mobile Phone Accessories, Gold Soft Brush, Daily Necessities, Health Supplies, Children's Products, Air Mattresses, Clothes Hangers, Tool Holder, Coffee Pot, Cover And Civil Speaker Grille Metal Surface. Consumer products, automotive components, medical devices and most all industries use ultrasonic plastic welding. 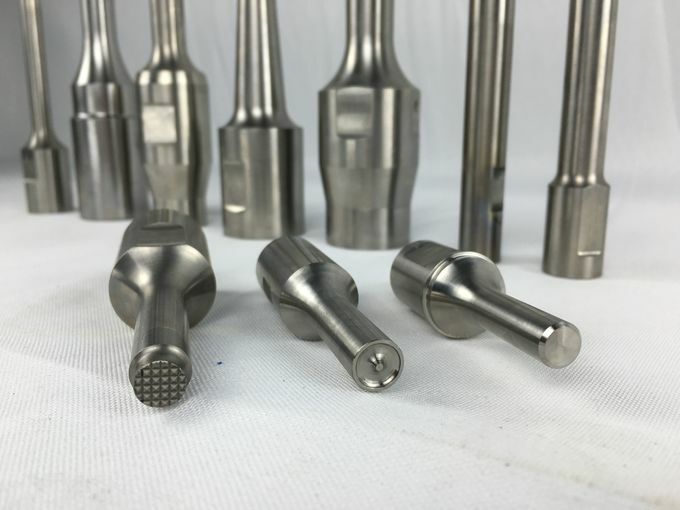 Metal inserts may be secured in plastic and dissimilar materials can often be bonded with proper tooling design. ToolTex specializes in toepad welding applications and has worked on several automotive applications. Even the simplest, timer based ultrasonic press is capable of reasonable precision, and stepping up to energy based units, linear encoded or servo driven presses greatly enhance highly repeatable assembly with tolerances of less than one one-thousandth (0.001″) of an inch. Ideal for Fixing Of Fancy Articles and Fixing Of Parts on Revolving Chairs and Other Furniture Replacing Therein Screws. Ultrasonic Hand Gun is also manufactured by us. Give Better Bonding Strength. Minimize The Cost As Screws Are No More Needed Resulting In Regular/Daily Savings. Suitable And Practically Successful Model in Furniture Industry is: 20 KHz Frequency System.